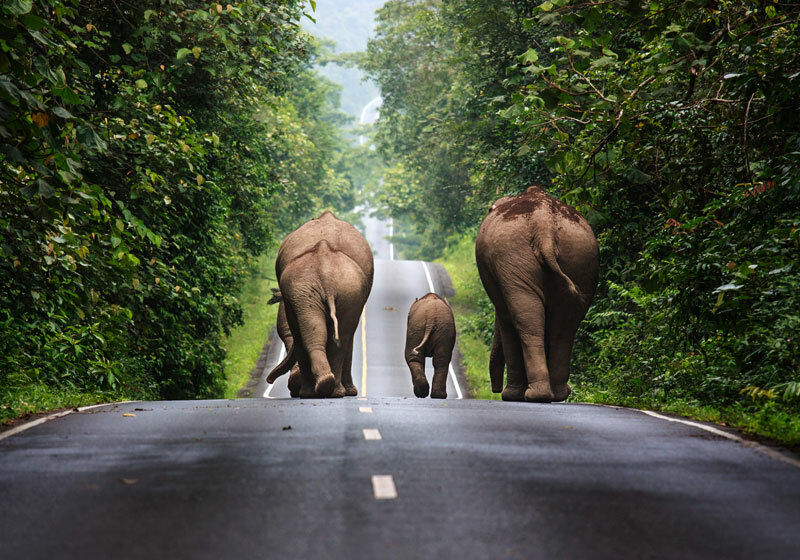 The Khao Yai National Park, which covers an area of 2,168 square kilometers in the Phanom Dong Rak mountain range, stretches over 4 provinces including Nakhon Ratchasima, Nakhon Nayok, Saraburi, and Prachinburi. Khao Yai became Thailand first national park on 18th September 1962 and is also originally recognized as the National Park Heritage of Asian Group Countries. The park is comprised of mixed forests and rainforests with some wide plains and grasslands interspersed with verdant forests. There are many valuable plants, including commercial plants, scented plants and herbs. In addition, there are several mountains with peaks ranging from 800 to 3,000 meters above sea level making Khao Yai a cool climate area, even in summer. The most popular time to visit Khao Yai is during the cool season or from October to February. In the rainy season, the area is refreshingly green with overflowing waterfalls, sending echoes all around. Short Description: Khao Yai National Park covers more than 2,000 square kilometers of forest and grassland in central Thailand. More than 50 km of hiking and biking trails wind through the long-standing nature preserve, and its many waterfalls include 150m-tall Haew Narok and 20m-tall Haew Suwat, immortalized in the Danny Boyle film 'The Beach.' The park also shelters diverse wildlife such as bears, gibbons, elephants and hornbills. Namtok Kaeng Sopha is a waterfall and tourist attraction in Wang Thong district of Phitsanulok Province in Thailand.